Experienced caregivers provide personal care and companion services including hygiene assistance, meal preparation, light housekeeping, errands and joyful companionship. Temporary, long-term and respite for family caregivers. YOU CHOOSE YOUR CAREGIVER. 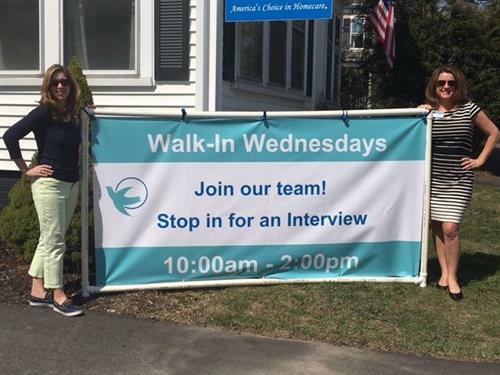 Walk-In Wednesday! Come in and meet a hiring manager!